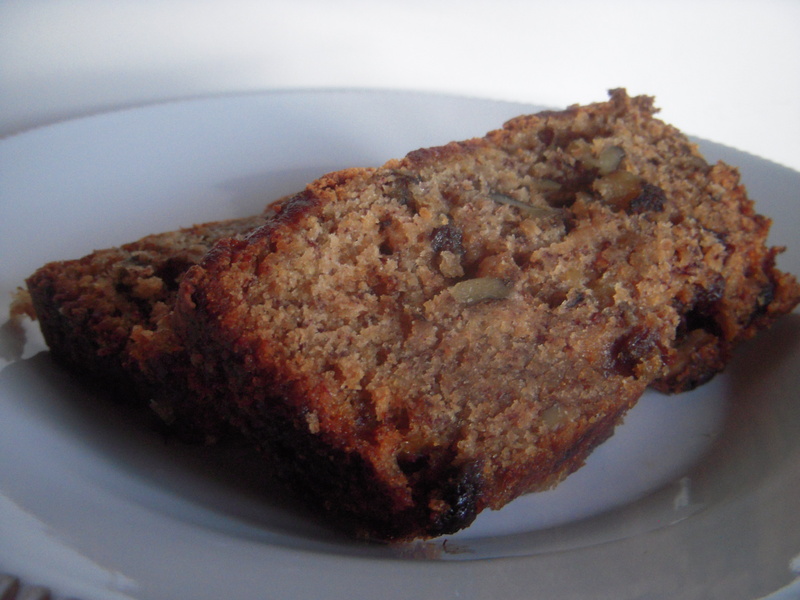 Banana Bread is one of the many treats that I grew up loving. There are so many different recipes I have tasted. Of them all, this truly is my favorite. My mom, my sister, and I have stuck with this recipe for years. We may change it up a bit every now and then, but in my opinion, this recipe is perfect! Eat it for breakfast, a snack or with some cool whip or ice cream for dessert. It is always a crowd pleaser! This is best to make with bananas that are getting brown. So, next time you are about to throw out some bananas, treat yourself and give this bread a try! Preheat oven to 350. Grease a 9x5x3 loaf pan. Cream butter, sugar and eggs. Set aside. In separate bowl, combine baking soda and buttermilk. To this, add flour, bananas, pecans and vanilla. Blend in butter, sugar, egg mixture. Bake at 350 for about 1 hour. TIP- I love to keep the bread very moist and soft. I usually check the bread at about 55 minutes by sticking a knife in center. I pull it out of the oven when knife is a little gooey. It hardens up just enough.